Jane & Chris – Sneak Peak of Wedding Images at the Westin Bellevue! 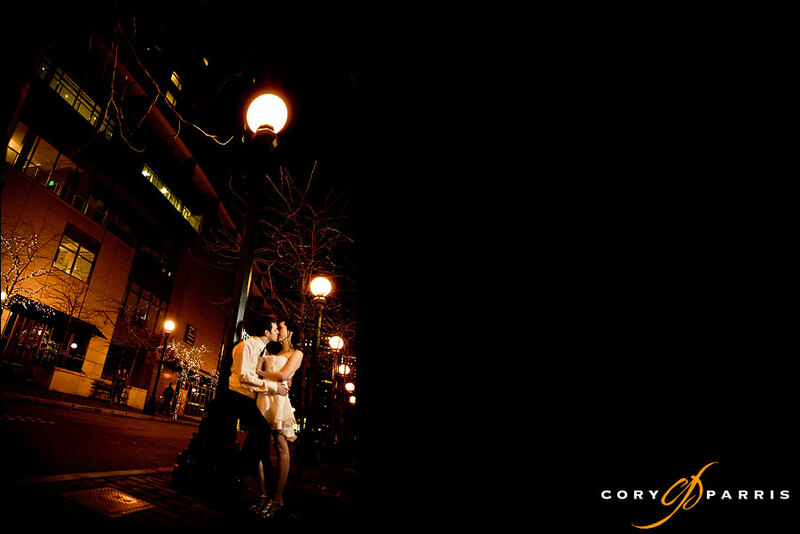 Here is one image of Jane and Chris that I took on the streets of Bellevue on their wedding night. This was just outside the Westin in Bellevue where they were staying. We also did some images inside the hotel and with their entire bridal party in the streets that night. Posted in Bellevue, For Photogs, lighting, night wedding portrait, Seattle Wedding Photographer, Seattle Wedding Photographers, strobist, Wedding, Westin - Bellevue, westin bellevue wedding | Comments Off on Jane & Chris – Sneak Peak of Wedding Images at the Westin Bellevue! Sheila and Nels turn their camera on us! We had big plans for some super fun and sunny photos at Shelia and Nels’ Sunday afternoon wedding. In fact, we had set aside a couple of hours in the evening for photos. Well, even in August the Seattle weather did not cooperate. Not to be deterred, Sheila and Nels got dolled up again for a shoot last night. They were such experienced models that after the shoot they orchestrated a photo of me! Posted in Experience Music Project, Personal, Photography, Seattle Wedding Photographers, Wedding Photography | Comments Off on Sheila and Nels turn their camera on us!